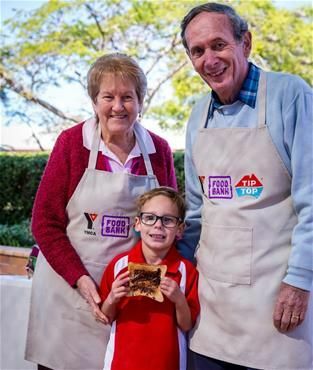 The YMCA Schools' Breakfast Program aims to provide children who miss out on breakfast with a free nutritious breakfast to kick start their day and a real chance in the classroom. Adult role models are needed to be breakfast mentors. The role includes volunteering as part of a team to prepare and serve breakfast (toast and cereal) to school children. The position requires Volunteers between the approx. times of 7:30am - 9:00am one or two mornings a week (during school terms). This is a fantastic opportunity to get along side school students and make a positive difference in their lives. Your involvement will have a long term impact on the students. With results and outcomes which you may never fully realise or get to see, but which are life changing for the students and ultimately the future of our community. Some schools have students volunteers alongside you, giving you the opportunity to teach them valuable life skills, such as food preparation and customer service skills. Anyone over the age of 18 who works with young people under the age of 18 are required to apply for a working with children Blue Card. This is free for the applicant and can be applied for through the YMCA. The YMCA is committed to the safeguarding of children and young people. All applicants will be obliged to comply with all safeguarding policy and practice standards, and education QLD school policies.